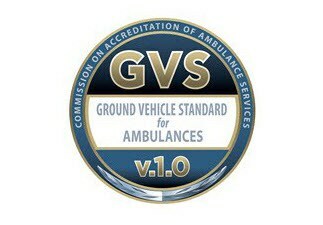 The Commission on Accreditation of Ambulance Services (CAAS) has announced the publication of its long awaited Ground Vehicle Standard for Ambulances, CAAS GVS v.1.0. The consensus group that created the CAAS GVS standard was made up of a large group of professionals including public and private EMS providers, regulators, physicians, equipment manufacturers and other subject matter experts. The GVS standard will have an effective date of July 1, 2016, and is available for free download. The website will also contain a portal for providers or regulators to connect with the GVS Technical Committee for questions or interpretations regarding the standard.